5809 YOGA is a cozy, in-home yoga studio located at 5809 Emerson Avenue in southwest Minneapolis. All classes are donation-only, based on the practice of dana, selfless generosity. CLICK HERE for information about classes. CLICK HERE to meet Sharon Hills-Bonczyk. We are a yoga teacher family! ​My daughter, Summer Joy, teaches at our home studio in addition to other locations around the Twin Cities. We co-facilitate retreats and workshops. Summer is a yoga teacher, dancer, artist, and Spanish interpreter. She is the Ceramic Art Professor at Macalester College. CLICK HERE to visit Summer's website. My husband, Steve, is also a yoga teacher and often teaches the Wed evening class. In addition, he subs classes when needed. Our son, Zac, also a Kripalu yoga teacher, spent one year as an intern at the Kripalu School of Yoga in Massachusetts and now lives in New York City as a yoga teacher and musician. CLICK HERE to visit Zac's website. 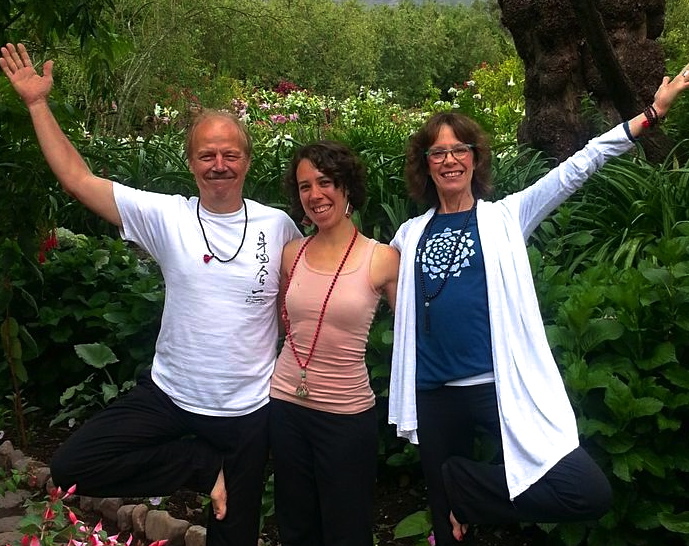 David Lacey, Summer's partner, is also a certified Kripalu yoga teacher. He often teaches the Wed evening class. In addition, he subs classes when needed.